By now you know all about the big five – we’ve certainly given these animals ample air time over the past few months. But there is SO much more to spot while on safari, and the list is endless when it comes to the variety of species to observe in their expansive habitats. From small critters to large beasts, they’re all equally fascinating. All wildlife co-exists perfectly in the wild. Whether they’re in the predator or easy prey category, everything has its role. And if even the smallest of creatures were to be eradicated, it would certainly affect the bushveld’s delicate biome. 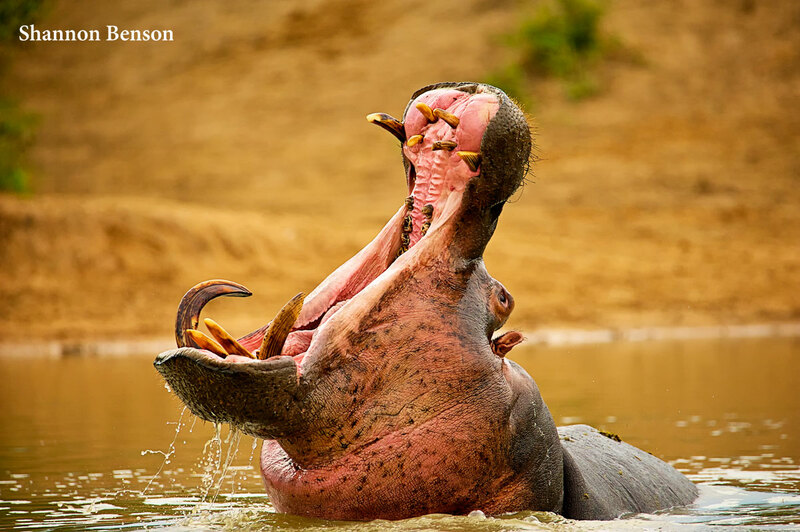 One of the colossal beasts that provides plenty of entertaining and amusing sightings in the wild is the hippo, found in abundance in reserves that have waterholes, lakes, pans and placid rivers. Let’s look at 4 facts about hefty hippos and find out about their role in the wild. 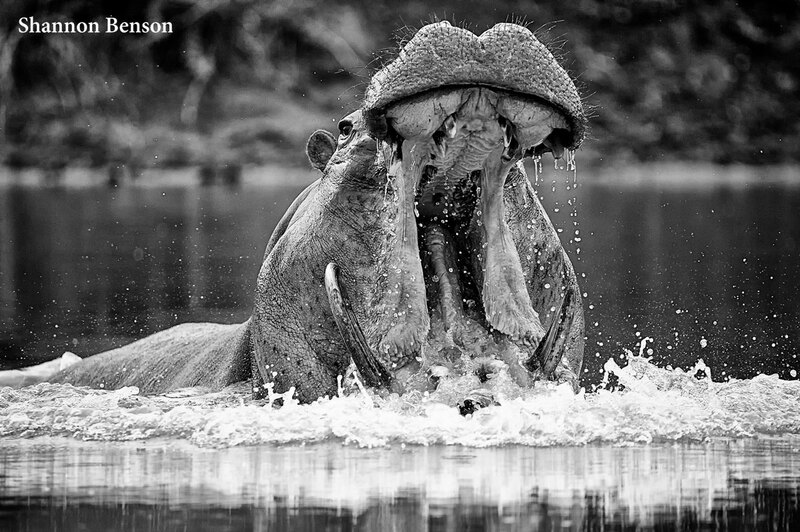 Hippos are important to the health of lakes, waterholes and river systems. They digest bulk quantities of vegetation – in excess of 40kg – and release it into their watery domain. Their faeces actually contain plenty of nutrients and acts as a natural fertiliser. Hippos come out of the water at night to graze of tropical and riverine vegetation, acting as a natural lawnmower. Not only are they natural vegetation trimmers, but they also successfully fertilize surrounding lands. Interestingly enough, some aquatic animals feast on the dung and certain fish feast on the bugs in the dung. The word hippopotamus actually means “water horse” or “river horse” in Greek. Hippos are similar to horses in that they sort of “gallop” across the bottom of their watery domain. Yes, that’s right. Hippos don’t actually swim! They tend to float and wade and do this by leveraging their own buoyancy. The semi-aquatic beasts have the ability to control their own breathing and their body position. If they sink to the bottom, they use the floor to propel themselves forward in more of a gallop fashion than a swim session. Hippos are excessively territorial and go to great lengths to guard their domain. Despite their size, they can charge when under duress. Hippos actually kill more people in Africa than any other animal, second to the mosquito (Malaria). This is partly because the waterways and rivers are utilized by many locals and their traditional transportation methods. 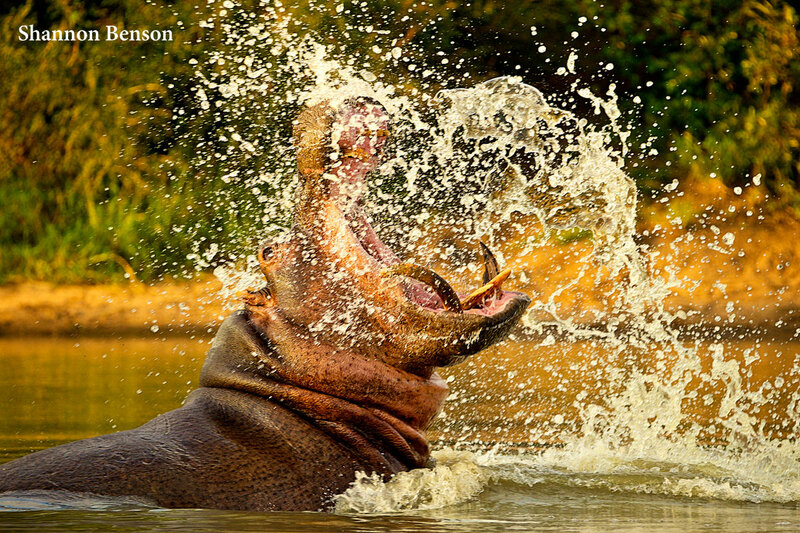 Humans and hippos live within close proximity, and hippos – unlike other animals – don’t retreat with ease. Word of warning – do not approach a hippo or get into its domain! They can outrun humans. 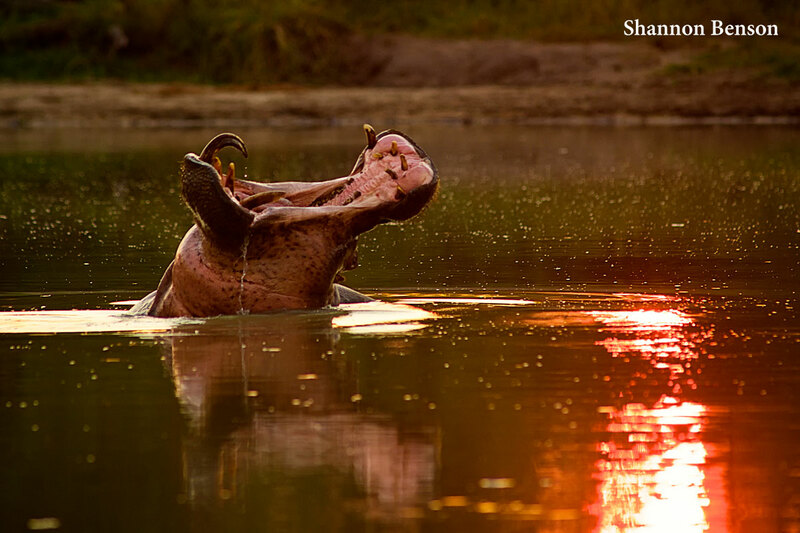 When hippos are spotted basking on the banks or shoreline, they tend to have a crimson glow. At first glance, it may appear that hippos are sweating blood, but this is not the case. They actually secrete an oily red substance that is a skin moisturiser and sunblock. Hippo don’t have a hairy hide that can block out the sun, and therefore need to protect their raw skin against the sun’s rays. The waxy layer also keeps out harmful germs.